NBA Jam SNES Super Nintendo Game Cartridge Cleaned Tested and Guaranteed to Work! 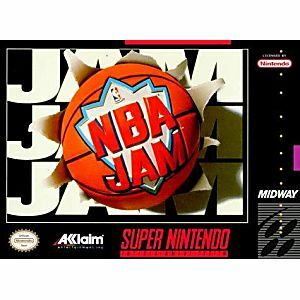 I loved playing NBA Jam when I was young and this is a great addition to my collection. I was a bit worried when I saw it was delivered in a padded envelope all the way to Korea, but when I opened it, it looked great and plays well. I'm so glad I can play this game again and certainly recommend Lukie Games to anyone looking to build their collection. 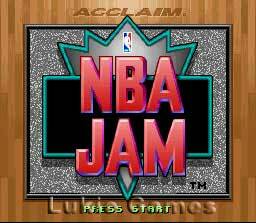 nba jam is an old gae but still great to play! There's not much to say about the game. 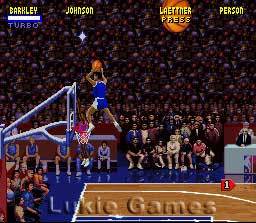 It's NBA JAM! However there is plenty to say about the condition of the game. The label is immaculate, same as the cartridge. The contact pins were VERY clean as well. The game looked brand new! Thanks Lukie Games, you nerlver cease to impress. The color, the graphics and the sound as crisp and loud as ever! Just got it in the mail. So Pumped! Game works great. Boom Shackalacka! This is basically a perfected clone/copy of "Arch Rivals" from the old NES era using real NBA teams. Fun then and it's still a blast today. 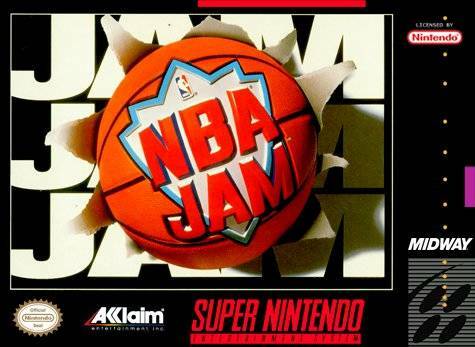 This will remain a classic must have sports title for the SNES. Very good game, I forgot how good it was, my grandson loves it!! NBA jam is on fire!!! Fast shipping, game worked like a charm, been playing it since I purchased it. Definitely a classic among sports games, good price too, compared to other sites. Fun, easy to pick up, and old school basketball at its best. Game shipped immediately and was in great working condition. It was just as I remembered it as a kid. very good old game - worked perfectly out of the box!